Reject the Proposed Tax Increase in the City! Tongtongan Ti Umili-Cordillera Peoples’ Alliance rejects the proposed tax increase in the city due to its burdensome and socially unjust nature. The current taxation process in the country mandates citizens to pay their taxes at the local and national levels, in addition to the Expanded Value Added Tax (EVAT) that is automatically added to products and goods. This is already a huge burden to the citizens who are trying hard to make ends meet, especially when their wages are insufficient to provide for the daily needs of their families. Up to present, there is insufficient wage increase given to the country’s employees when prices of commodities continue to soar. This tax increase also does not guarantee the improvement in delivery of basic social services. As well as the insufficiency of information-dissemination and consultations in the city, it is important that the questions of the people regarding the basis of the proposed tax increase be addressed before proposing and implementing a tax increase in the city. Tax increase in the city, without an increase in the source of livelihood of the people will only result in an increase in prices. Consumers will once again carry the burden of having to pay high prices when they do not have the means to do so. Poor people and families will be the most burdened with the increase in prices, rent, commodities, and goods in the city. 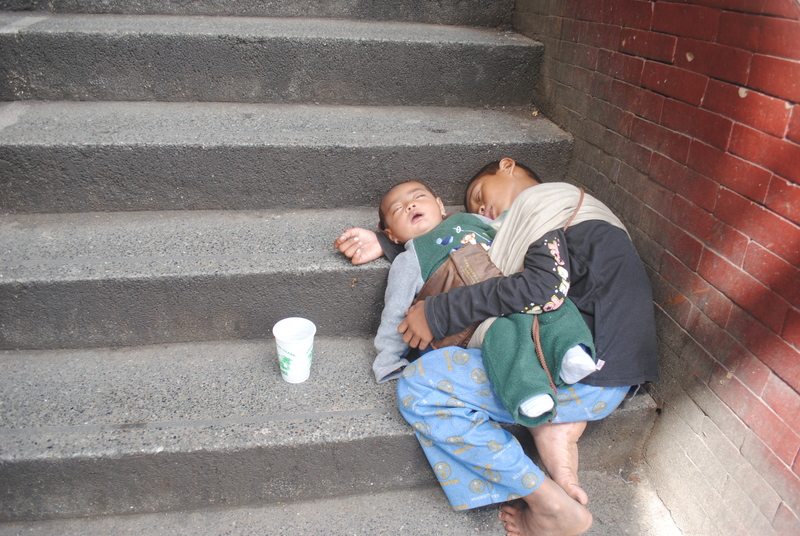 There is no apparent lack of funds and sources in the city since Baguio has the capacity to generate income. The existence of huge corporations like SM, Camp John Hay and numerous hotels and condominiums in the city will provide a huge source of income to the city. Furthermore, holidays like Christmas, summer and Panagbenga were already proven as effective in generating income for the city. There is no need for an increase in taxes in the city for Development Projects since the city was able to spend millions in projects like fountains in Burnham Park, fencing projects, road reconstruction, and even the ongoing City Hall stage, fencing and museum project. The city misallocates and misuses its funds on its projects and programs. The question lies on how these funds are used according to the particular needs of the residents’ vis-à-vis these projects that are not needed. 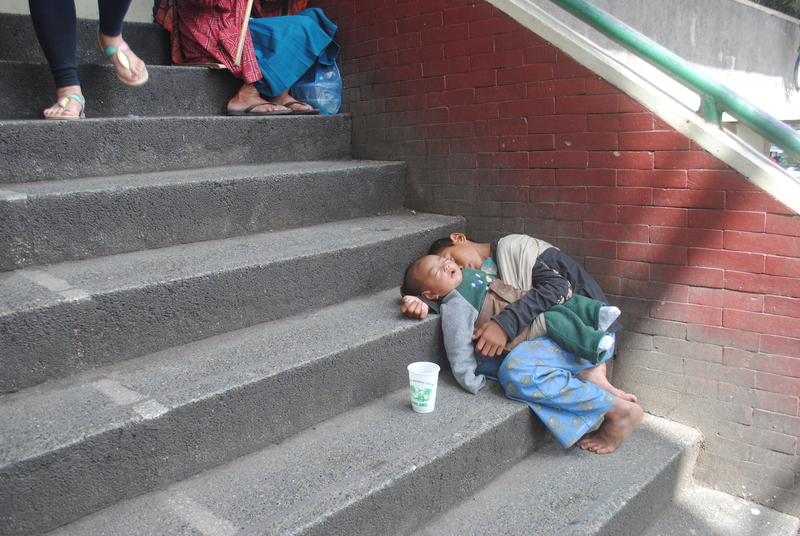 Baguio residents are paying taxes while there is little or no funds allocated to the delivery of basic social services and the improvement of livelihood. The proposed multi-level parking lot in Melvin Jones grounds is a clear misallocation of funds since the government will be spending millions on a project that is opposed by the people. The city also wasted more than P200 million in the purchase of the defective ERS machines in 2012, and the hauling & tipping of garbage in the city to another. The city yearly allocates the biggest funds to Solid Waste Management due to the absence of a comprehensive garbage and waste management plan, wherein this budget comes out of the taxpayers’ money. Residents are paying garbage fees to their barangays in addition to the annual garbage fee paid to the city treasury, while the problem in garbage and waste is left unsolved. This a clear burden to the people due to the incompetence of the local government to allocate funds accordingly. While small residents and vendors have been dutifully paying their taxes every year, these large businesses have been able to get away with the taxes that they owe to the city. 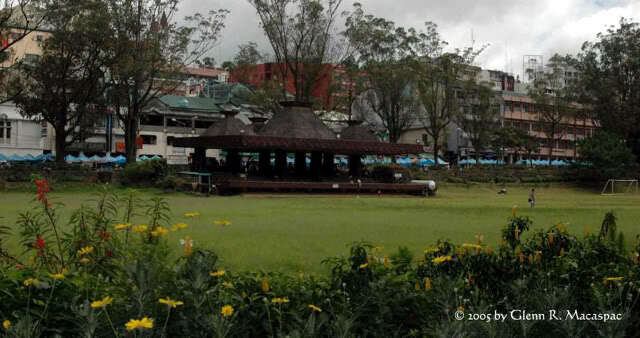 Small vendors and businessmen make meagre profits from their livelihoods, Camp John Hay Development Corporation makes millions of pesos from the rentals and activities done within it. However, they are able to get away from paying their taxes since 1997. Big businesses, companies and corporations like CJHDevCo that evade taxes are the ones that should be investigated and given penalties since they are the ones that have the capacity to pay high taxes but fail to do so. Taxes paid are not reverted back to residents. 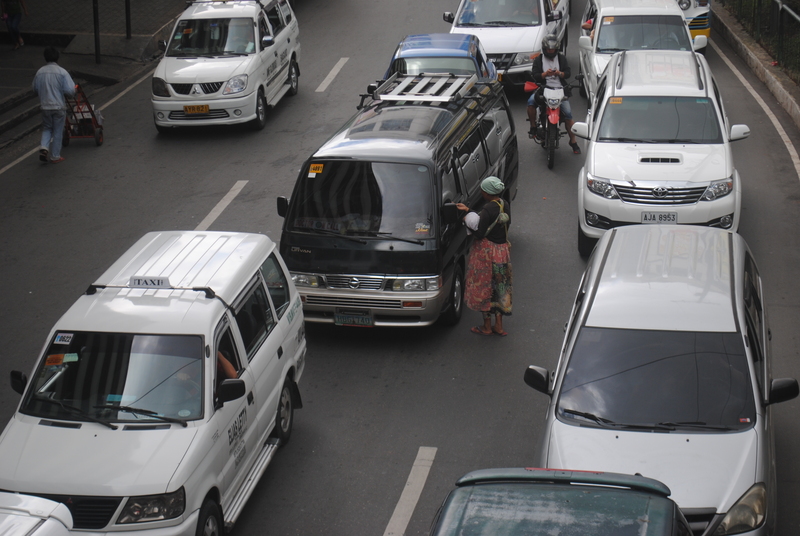 In line with the misallocation of funds in the city, citizens cannot take this proposed tax increase lightly since there are no projects and programs done by the local government to address the need for basic social services, livelihood, employment and the improvement of the peoples’ lives. Most of the projects done in the city are towards the objective of promoting tourism while there are none for the improvement of the city and its citizens. Demolition of the livelihood of small vendors, destruction of the environment, and maldevelopment are prevalent in the city. It is in this manner that TTU, as well as the people of Baguio, cannot accept the argument of Mayor Domogan that the basis for tax increase is in comparison to the tax rates of Urdaneta and La Union. Taxes should be progressively collected by the government, which means that these should be returned to the people in the form of delivery of basic social services, improved livelihood, employment, etc and should not be used for projects that are seen only by few individuals as “necessary”. We refuse to be treated as “milking cows” that are the sources of funds of the local government for projects and programs that do not address our needs. We are calling on all individuals, groups and organizations to take a stand against the proposed tax increase when the problems of the city and its residents are not addressed. Local politicians should take a stand with the people if they are truly representing us. Voting for the implementation of an increase in the city’s taxes will only mean that they are self-serving and have no regard for the city and its residents. Reject the Proposed Tax Increase! 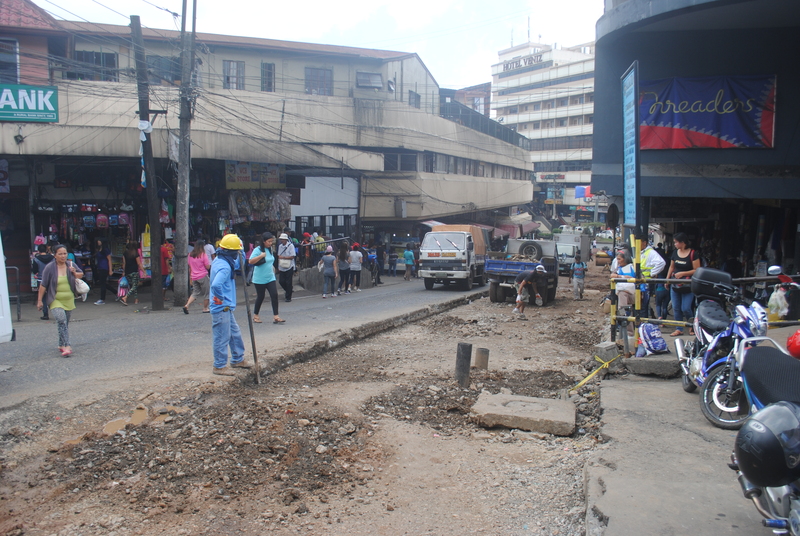 After three weeks of waiting, one lane of Zandueta street was finally cemented. However, the adjacent lane was already drilled with holes even before the cemented lane can be used. 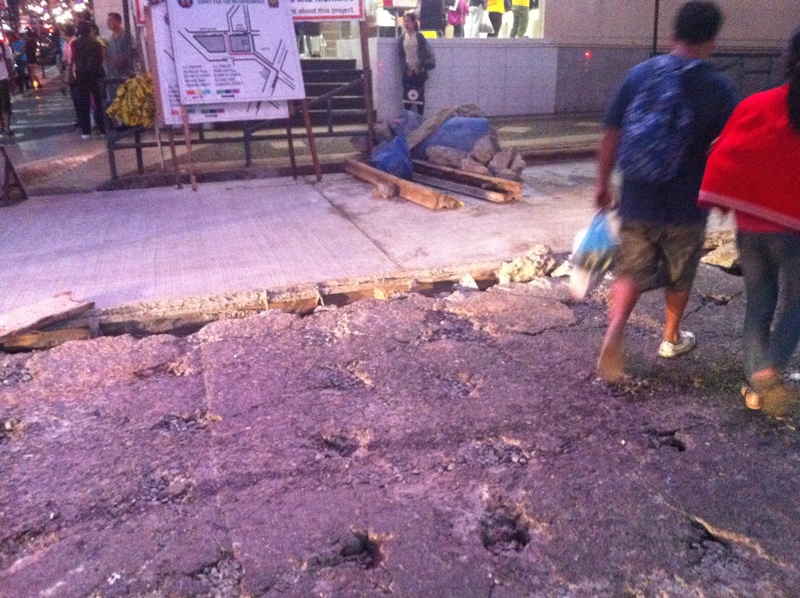 This inefficiency of the DPWH in implementing their road projects only brings “perwisyo” to the residents of the city. Tama na ang perwisyo sa mamamayan! Through the virtue of Republic 10066 or the National Cultural Heritage Site Act, Melvin Jones and the Baguio City Hall were already marked as heritage sites of the city. 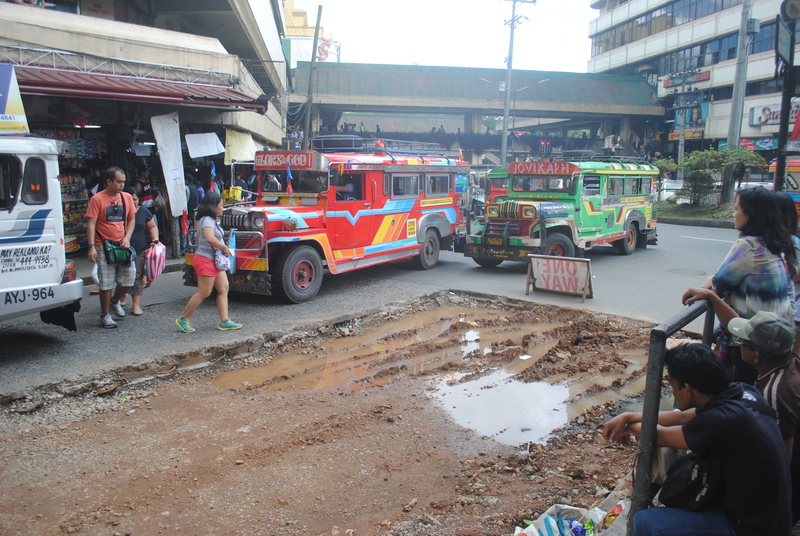 In spite of the protests of the people, the city government does not give recognition on the issue of the historical and cultural integrity of the city, as seen with the planned parking facility at Melvin Jones and the on-going projects in City Hall. Lately, the National Commission for Culture and the Arts issued a cease and decease order addressed to the city mayor and the city government will be facing administrative and criminal charges should they fail to abide the order. 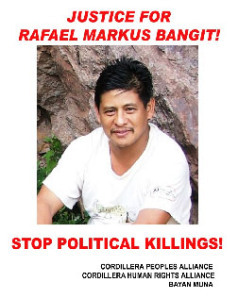 The people of Baguio should remain vigilant and continue to oppose such developments, as a member of Baguio We Want movement, Tongtongan Ti Umili will continue to show its strong opposition. People from all walks of life have gathered at Melvin Jones to show their concern and celebrate its historical significance. We therefore, urge the wider citizens of Baguio to show their support to the on-going signature and info campaign through social media. Tongtongan Ti Umili will remain strong on its opposition on the destruction of our cultural properties in the city. 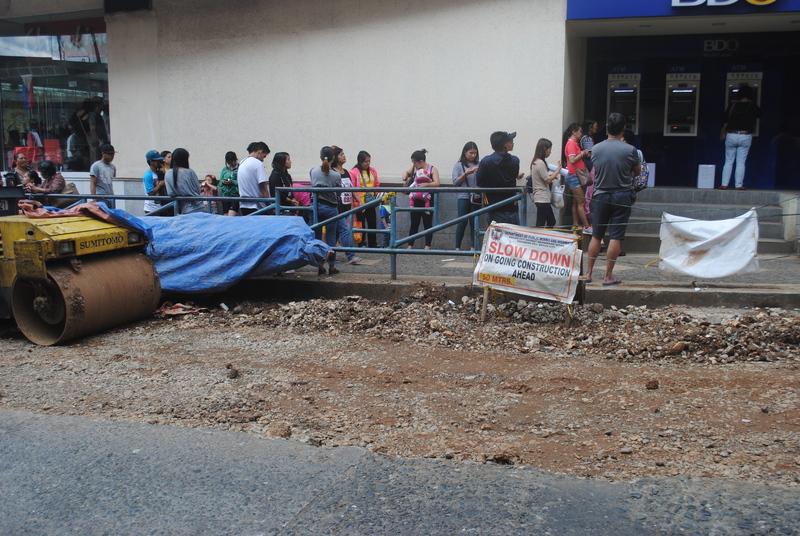 The construction of the parking facility at Melvin Jones should be prevented for its historical, environmental and economic significance to the City of Baguio. The city government should look into alternative locations for a parking facility to avoid repercussions such as the destruction of Melvin Jones as an aquifer and carbon sink of the city. We urge the City Government to stop the fencing and renovations of the Baguio City Hall and should show their respect to such historical structure. The City Hall should be free of obstructions that obliterate its historical significance. We urge the citizens of Baguio to remain vigilant and participate in protecting our city’s heritage sites. We should strengthen our campaign to stop the commercialization and privatization of the city. Free the Parks. Parks are for People! Protect Our city’s unique historical identity! Respect Baguio’s Heritage! Baguio City is not for Sale! No to Commercialization and Privatization! Rain, rain go away, Come again another day…Road construction is still on the way…. Now that the June 12 rallies are concluded, please let me take this time to clarify certain misconceptions and accusations about the Left when it comes to China and the ongoing dispute in the West Philippine Sea. Some allegations are just patently absurd. Others may just be the result of deliberate disinformation by the Aquino regime. In any case, it is important that we make this clarification. Here are some of the mistaken notions that we may have encountered lately.